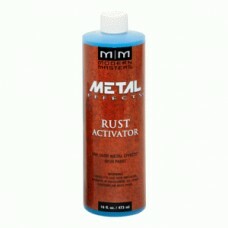 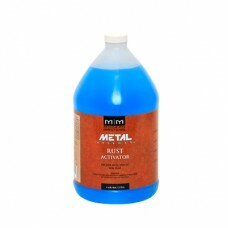 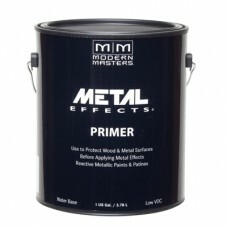 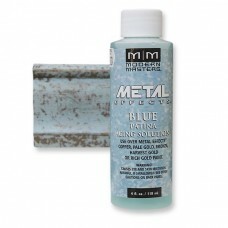 A unique water base, acrylic primer designed to block Patina Aging Solutions & Rust Activator from reaching the metal or wood surface chosen as a substrate. 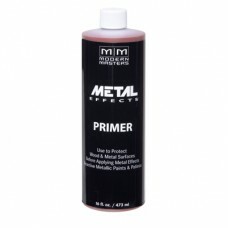 Other primers cannot be used because they allow the Patina Aging Solutions & Activators to penetrate through to the substrate.This will disrupt.. 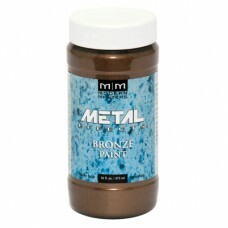 These water base acidic solutions are applied over the Reactive Metallic Paints. 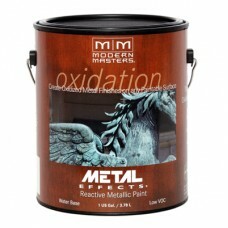 They will react with the real metal particles in the paints, thus speeding up the oxidation process. 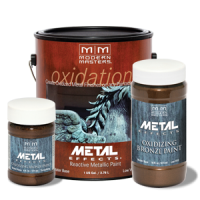 The Green and Blue Patina Aging Solutions can be applied to Copper or Bronze Metallic Paints. 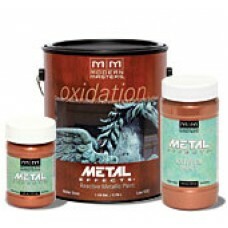 These paint and aging so..
Metallic Paint Collection™ LEED® EQ Credit 4.2 - Low-emitting non-flat Paints Unique, Non-Tarnishing Colors Real metal particles, pearlescent pigments and traditional color pigments are uniquely combined to create a palette of beautiful, non-tarnishing, shimmering colors. 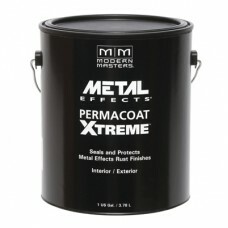 Use Metal Effects for an ag..
Permacoat Xtreme is an all-in-one water base, clear non-yellowing, protective sealer and topcoat designed to work over Metal Effects Rust Activated Iron Paint. 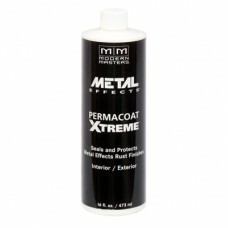 This innovative clear coat chemically arrests the oxidized metal finish, minimizing any further corrosion, and then self-crosslinks to creat..